Omar Allibhoy is available to book for your special event – we work in direct association with Omar Allibhoy’s representative as a booking agent for him. 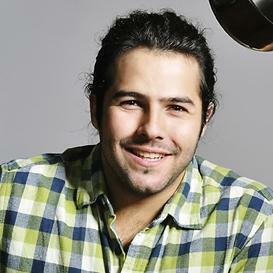 Omar Allibhoy is a 28 year old chef trained by the legendary Ferran Adria of El Bulli fame. After coming to the UK 7 years ago to take over El Piratas Detapas in West London, he quickly established it as one of London’s best Tapas Restaurants winning Rave reviews. Having been nicknamed the Antonio Bandares of the chef world by Gordon Ramsey, Omar Allibhoy has a burgeoning reputation as one of the UK ’s brightest young chefs and was shortlisted for the 2010 OFM young chef of the year awards. He has been steadily appearing on our UK TV screens, most recently on Gordon Ramsay’s Best Restaurant for Channel 4 and Saturday Cookbook. 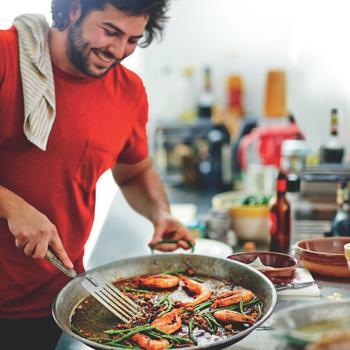 Since arriving in the UK Omar Allibhoy has been surprised and frustrated by the lack of Spanish restaurants compared to other notable cuisines such as Chinese or Thai for example. He also could not understand why more people were not cooking his beloved food in their homes. He decided it was up to him to do something about this and the idea of the Tapas Revolution was born. 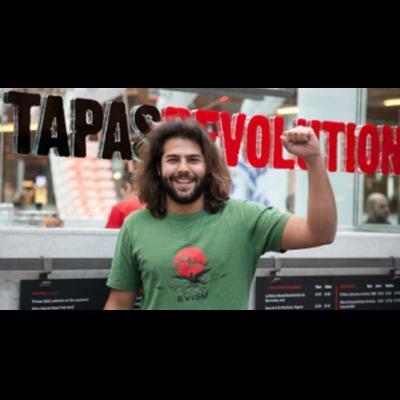 Omar wanted to put Tapas on the map in the UK so he literally daubed a giant T for Tapas on the map of England and then set out on his motorbike for 2 weeks travelling along this T, cooking for anyone that he met along the way. The trip was a great success, causing nothing short of a sensation back in Spain where they called him a ‘crusader for Spanish food and culture’ and likened Omar Allibhoy to a Spanish version of Jamie Oliver. 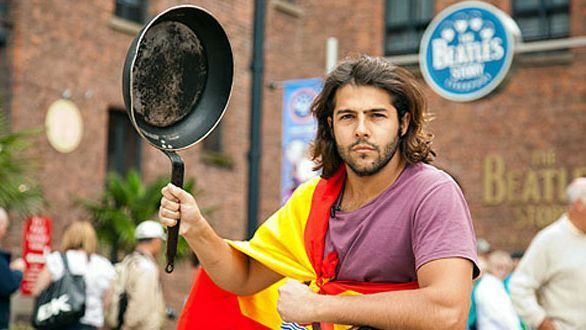 In the UK, the trip showed Omar that people around the country loved his simple and easy style of Spanish cooking and he came back with a new determination to keep taking Tapas to the people of the UK. 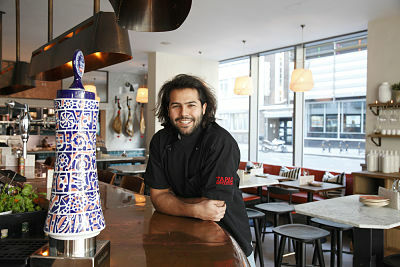 Omar Allibhoy’s first act was to open up a Tapas Revolution restaurant in the Westfield shopping centre in West London, a great chance to bring all that is great about the Spanish culture to the people of London. Contraband is the UK’s top booking agent, with attentive, knowledgeable account managers who guarantee you the best deal possible. Contact us today if you would like to book Omar Allibhoy to be the headline of your event! We as your booking agent are more than happy to help you create the most memorable moments with Omar Allibhoy.